As accountability measures for schools and teachers continue to grow, instructional practice is under the microscope. The practice of reading aloud to children may be viewed by some educators as an "extra"—a bit of fluff used solely for the purpose of enjoyment or filling a few spare minutes. But researchers and practitioners stand in solidarity: the practice of reading aloud throughout the grades is not only viable but also best practice. 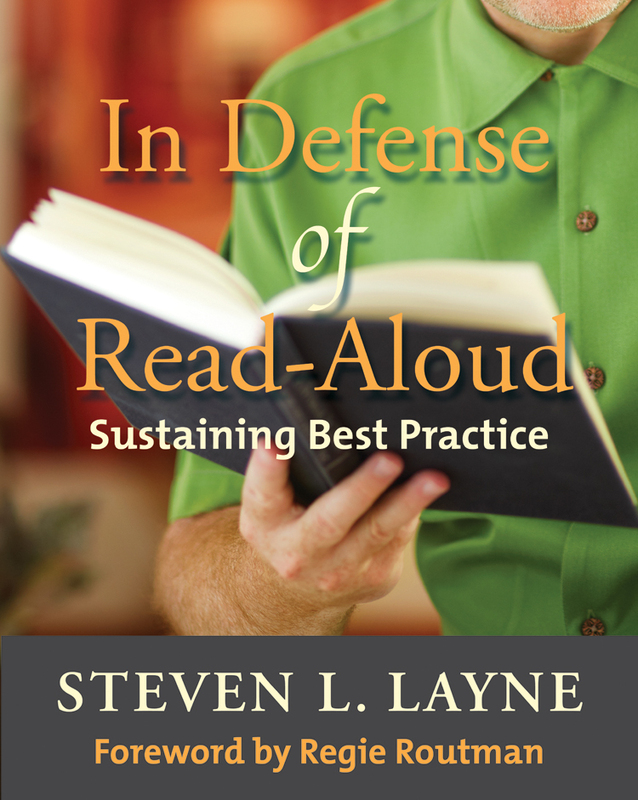 In Defense of Read-Aloud reinforces readers' confidence to continue the practice of reading aloud and presents the research base to defend the practice in grades K–12. Steven Layne also offers significant practical insights to strengthen instructional practice—answering the questions of "Why should we?" and "How should we? "—and provides practical advice about how to use read-alouds most effectively. Leading researchers in the field of literacy provide position statements, authors of professional books share insights on books they have loved, leaders of the largest literacy organizations in the United States write about their favorite read-alouds, award-winning authors of children's and young adult books (Katherine Paterson, Andrew Clements, Lois Lowry, to name a few) share the powerful behind-the-scenes stories of their greatest books, and real classroom teachers and librarians speak about books that have "lit up" their classrooms and libraries around the world. Last but not least, In Defense of Read-Aloud features many great recommendations of books to share with children. Amidst the clanging noise of today's technology, Steven Layne offers here a clear clarion call on behalf of reading to children. It is insightful, reasoned, entertaining (rare in the field), and carefully researched for those who might doubt the urgent need for something that doesn't need a Wi-Fi hot spot. It should be on every teacher's must-read list. Dr. Steven L. Layne serves as Chair of Graduate Programs in Literacy Education at Judson University in Elgin, Illinois, where he teaches courses at both the master's and doctoral level. He is a fifteen-year veteran of public education, serving as a classroom teacher and reading specialist in a wide span of grade levels. Chapter 1: What's All The Fuss About Reading Aloud?